Freshman Santiago Sierra and junior transfer Jamey Swiggart have started their Ute careers off in a great fashion by reaching the quarterfinals of the singles main draw at the Utah Fall Classic at BYU. Swiggart handily beat Steven Balls, 6-1, 6-1, in the first round and didn’t skip a beat against BYU’s Jeremy Bourgeois, 6-4, 6-4, to reach the quarterfinals. He will face Shane Monroe (BYU) at 1pm on Friday. After enjoying a bye in the first round, freshman Santiago Sierra joined Swiggart in the quarterfinals after beating Jacob Sullivan (BYU), 6-4, 7-5, in 2nd round action. The Mexican national will now face 2nd seeded and defending champion Andrey Goryachkov Friday at 1pm. 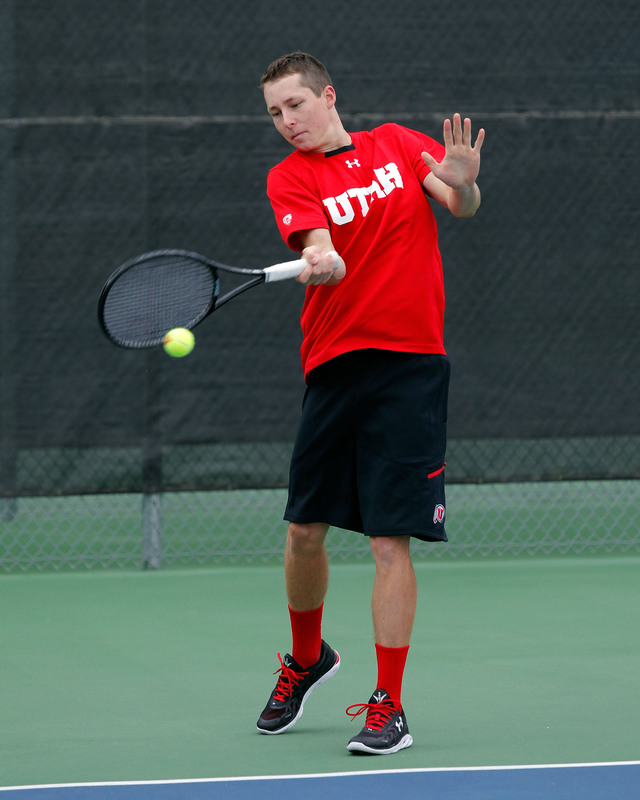 The new Utes also teamed up to beat Tyler Loong and Paul Monson, 8-5, in doubles play. In quarterfinal play they will face former BYU Cougars and 2nd seeded Michael Eraso and Patrick Kawka.